Together we explore the world!! Nasi Ayam Ibu Oki yang Pedasnya Nagih! A380 EMIRATES BUSINESS & 1ST CLASS REVIEW : Window or Aisle, which one you prefer? Edible bird’s nests are among the most expensive animal products consumed by humans, with an average nest selling for $2,500 per kilogramme for end-consumers in Asia. The Chinese name for edible bird’s nest, yàn wō (燕窝), translates literally as “swifflet nest”, and often serves as a synonym for bird’s nest soup. However, yàn wō strictly speaking is the uncooked nest. The nest is harvested heavily as it is believed to contain rich nutrients to aid in digestion, increase your libido, improve awareness and overall a boost to the immune system. That’s a lot of bold claims and whether any of these are true or not, these nests have been consumed in China for over 400 years. The improvement was due to the stimulation of body functions and hormones that need to be at healthy levels for optimal reproduction. More controlled testing still needs to be done to further confirm or rebut these studies. 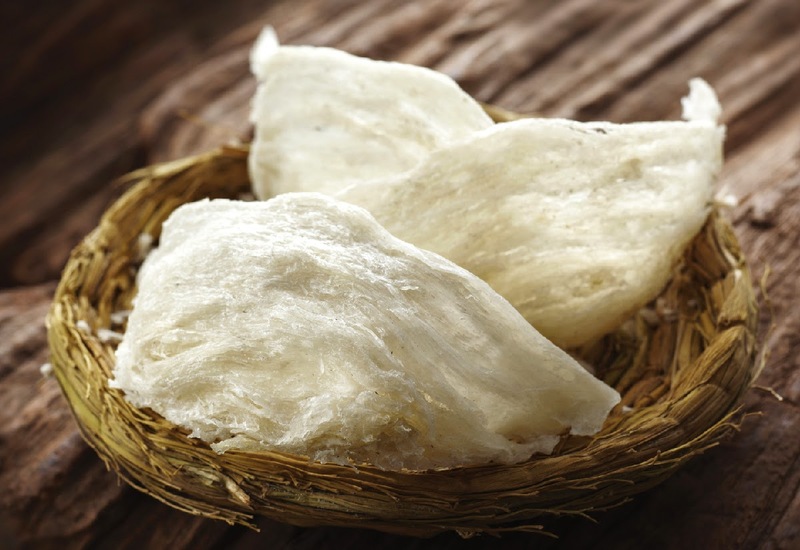 One of the traditional benefits attributed to bird’s nest soup has been aiding reproductive health. Due to its alkalinity, and the epidermal growth factors, it promotes cells growth and research is going on to discover and identified markers for anti-cancer elements. Till today, Chinese still believed edible nest soup is good for treating tuberculosis, dry coughs, asthma and many general weakness due to bronchial aliments. Traditionally edible nest soup is used to nourish the kidney, lung, heart and stomach. 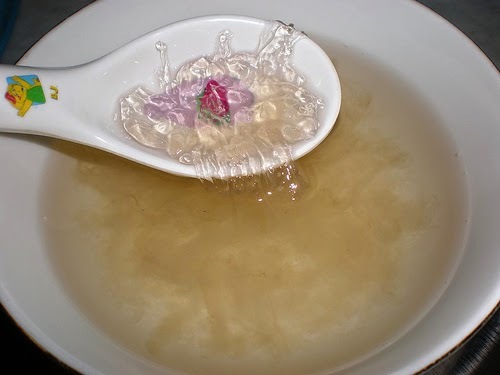 The tonic power of edible bird’s nest soup is believed to improve skin complexion and slow down the aging process. Abalone is a mollusk that clings to rocks and grazes on seaweed. Chinese, have classified abalone with the likes of sharks fin, ginseng and bird’s nest as some of the most desirable, and expensive foods. The high price of these ingredients often makes them status symbols, reserved for celebrations. The taste of abalone is similar to scallops when tenderized before cooking. 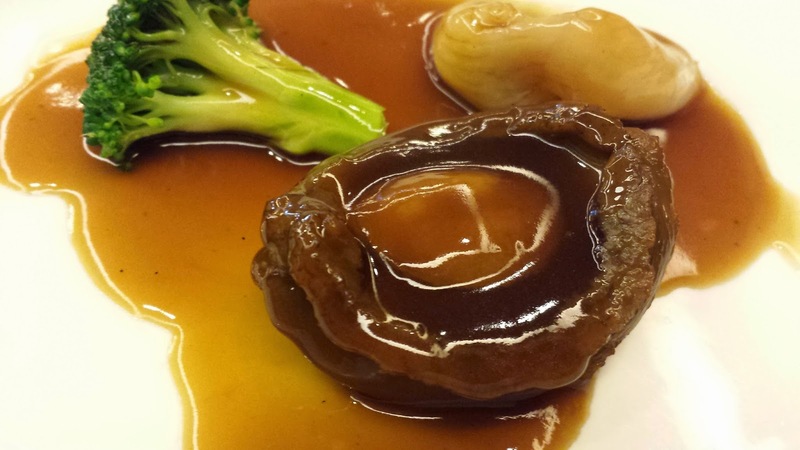 Expert believes that abalone may help prevent and treat debilitating health conditions including arthritis. It is believed to promote healthy eyes, alleviate colds, reduce fluid retention and improve circulation. 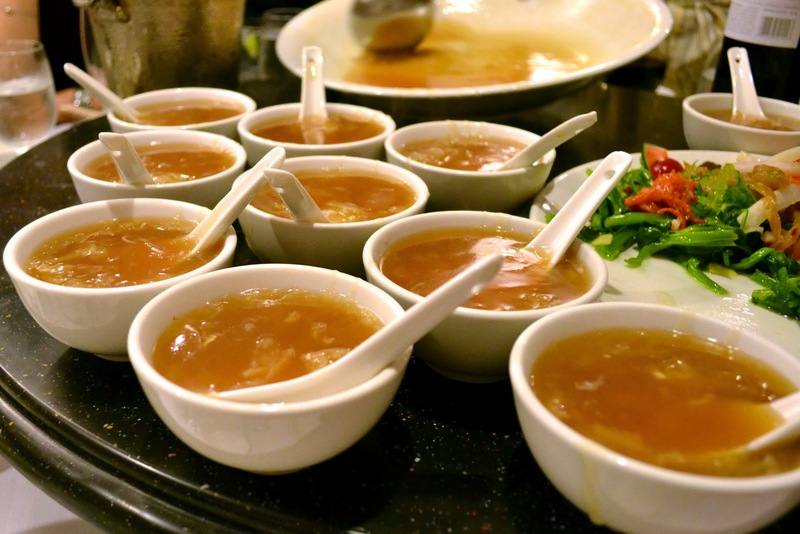 Shark fin soup (or shark’s fin soup) is a popular soup item of Chinese cuisine usually served at special occasions such as weddings and banquets, or as a luxury item in Chinese culture. 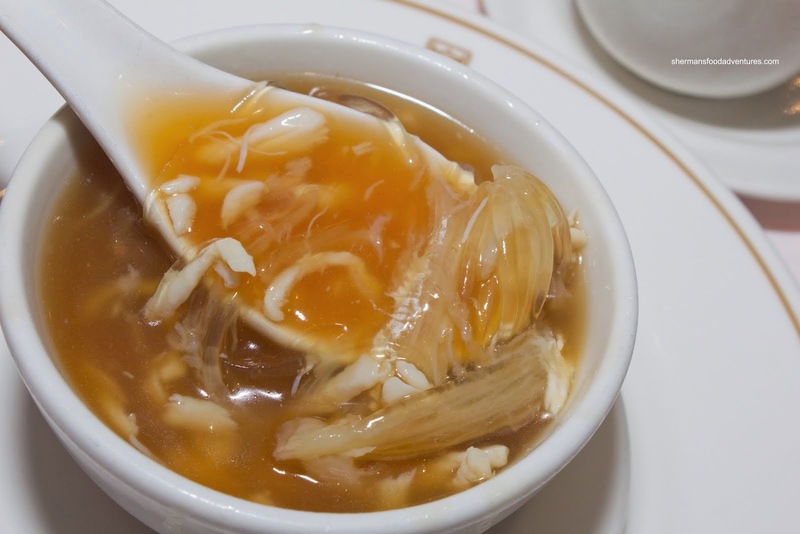 Eating shark fin soup has become a tradition in Chinese culture to celebrate important events and is considered beneficial for some diseases. Based on Chinese medical book known to benefit from this shark fin include skin rejuvenation, increased appetite, useful for energy, for kidney, lung, bone and other body parts. Presumably these health benefits derived from shark fins and snout made of cartilage. Sharks are known to have strong resistance to infection and immunity against cancer. We are Indonesian couple living in Hong Kong. We love to explore and seeing the unseen. We might not truly backpackers, we are Flashpackers.